This is a quick post to say thanks once again to Stephen, Claire and the presenters at Storage Field Day 7. I had a great time, learnt a lot, and didn’t get much sleep. For easy reference, here’s a list of the posts I did covering the event (not necessarily in chronological order). Also, here’s a number of links to posts by my fellow delegates. They’re all switched-on people, and you’d do well to check out what they’re writing about. I’ll try and update this list as more posts are published. But if it gets stale, the SFD7 landing page has updated links. I’m going to Storage Field Day 7! It’s almost time! #SFD7 is next week! I’ll be attending Storage Field Day 7 – Now with Clear Containers! Storage Field Day 7, here I come! Finally, thanks again to Stephen, Claire (and Tom in absentia). It was a great few days and I really valued the opportunity I was given to attend. For each of the presentations I attended at SFD7, there are a few things I want to include in the post. 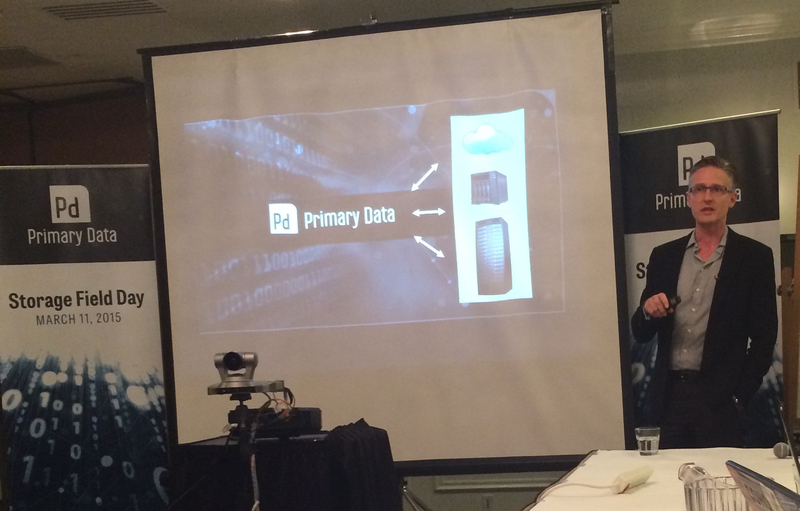 Firstly, you can see video footage of the VMware presentation here. You can also download my raw notes from the presentation here. Finally, here’s a link to the VMware website that covers some of what they presented. I’d like to say a few things about the presentation. 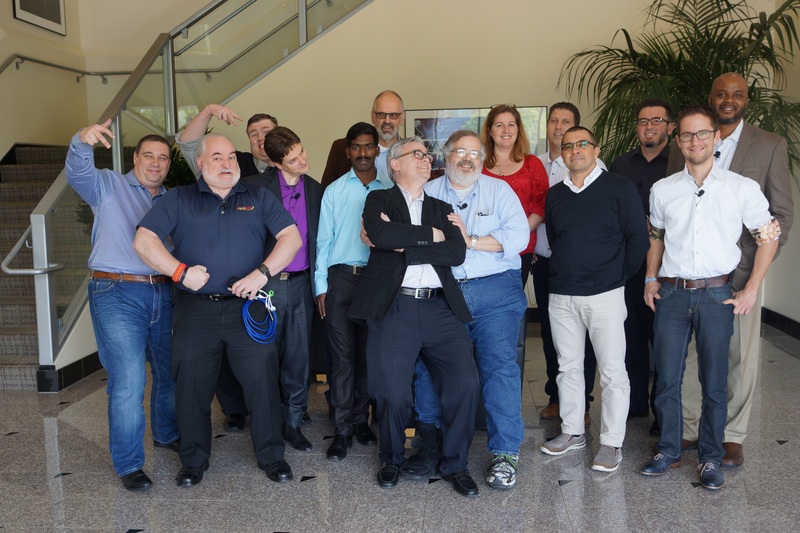 Firstly, it was held in the “Rubber Chicken” Room at VMware HQ. Secondly, Rawlinson was there, but we ran out of time to hear him present. This seems to happen each time I see him in real life. Still, it’s not everyday you get to hear Christos Karamanolis (@XtosK) talk about this stuff, so I’ll put my somewhat weird @PunchingClouds fanboy thing to the side for the moment. Thirdly, and I’ll be upfront about this, I was a bit disappointed that VMware didn’t go outside some fairly fixed parameters as far as what they could and couldn’t talk about with regards to Virtual SAN. I understand that mega software companies have to be a bit careful about what they can say publicly, but I had hoped for something fresher in this presentation. In any case, I’ve included my notes on Christos’s view on the VSAN architecture – I hope it’s useful. VMware adopted the following principles when designing VSAN. This equals minimal impact on consolidation rates. This is a Good Thing™. 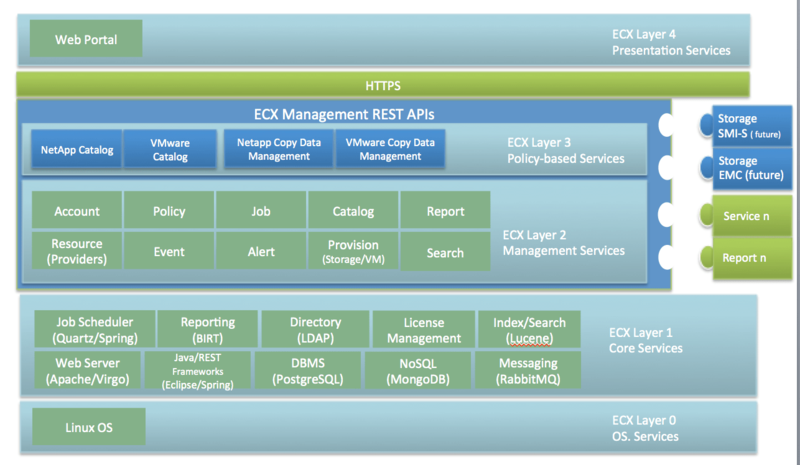 As ESXi is both the “consumer” and “producer” of data there is no need for a standard data access protocol. Standard protocol for external access? Storage organised in disk groups (flash device and magnetic disks) – up to 5 disk groups, 1 SSD + 7 HDDs – this is the fault domain. 70% of flash is read cache, 30% is write buffer. Writes are accumulated, then staged in a magnetic disk-friendly fashion. Proximal IO – writing blocks within a certain number of cylinders. Filesystem on the magnetic disks is slightly different to the one on the SSDs. Uses the back-end of the Virsto filesystem, but doesn’t use the log-structure filesystem component. The VM Home directory object is formatted with VMFS to allow a VM’s config files to be stored on it. Mounted under the root dir vsanDatastore. Adapt to the customer’s data centre architecture while working with network topology constraints. Maintenance mode – planned downtime. It’s a big task to get all of this working with everything (supporting the entire vSphere HCL). I like VSAN. And I like that VMware are working so hard at getting it right. I don’t like some of the bs that goes with their marketing of the product, but I think it has its place in the enterprise and is only going to go from strength to strength with the amount of resources VMware is throwing at it. In the meantime, check out Keith’s background post on VMware here. 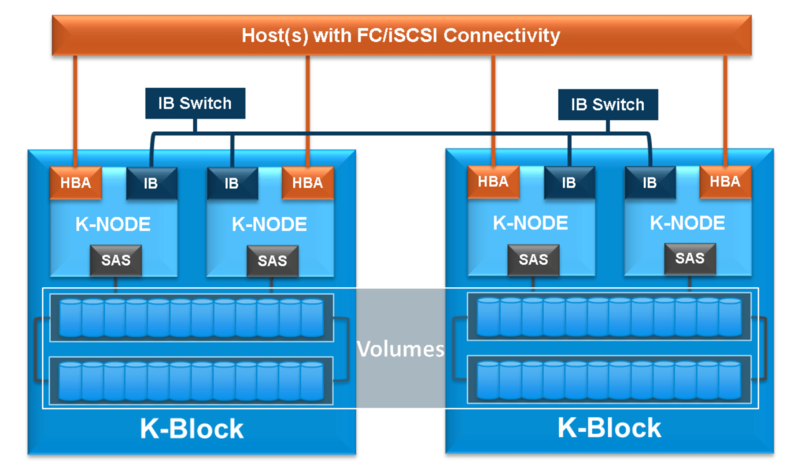 In my opinion, you can’t go past Cormac’s posts on VSAN if you want a technical deep dive. Also, buy his book. For each of the presentations I attended at SFD7, there are a few things I want to include in the post. Firstly, you can see video footage of the Cloudian presentation here. You can also download my raw notes from the presentation here. Finally, here’s a link to the Cloudian website that covers some of what they presented. Michael Tso, CEO and co-founder of Cloudian, provided us with a brief overview of the company. It was founded about 4 years ago, and a lot of the staff’s background was experience with hyper-scale messaging systems for big telcos. They now have about 65 staff. The software is supported on RedHat and CentOS. 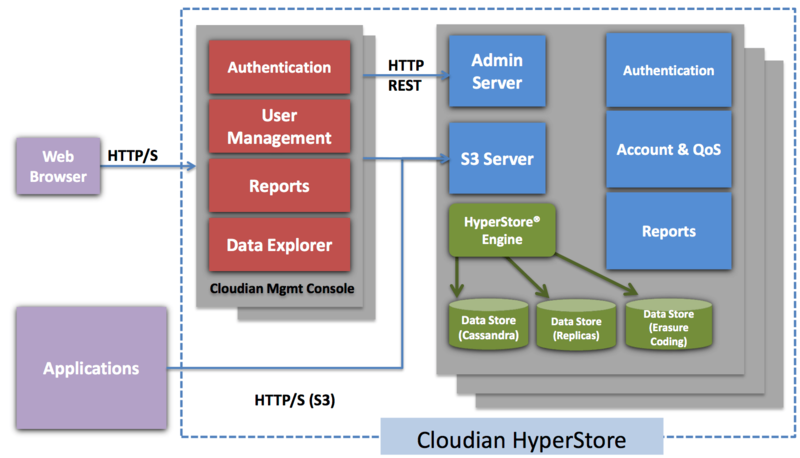 Paul Turner, Chief Marketing and Product Officer, gave us an introduction to the architecture behind Cloudian. Their focus is on using commodity servers, that provide scale out capability, are durable, and simple to use. “If you don’t make it dead easy to add nodes or remove nodes on the fly you don’t have a good platform”. Cloud archiving by virtual pool. Here’s a diagram of the logical architecture. ACL, QoS, Tiering, versioning, etc. Allows heterogeneous machines in a cluster. 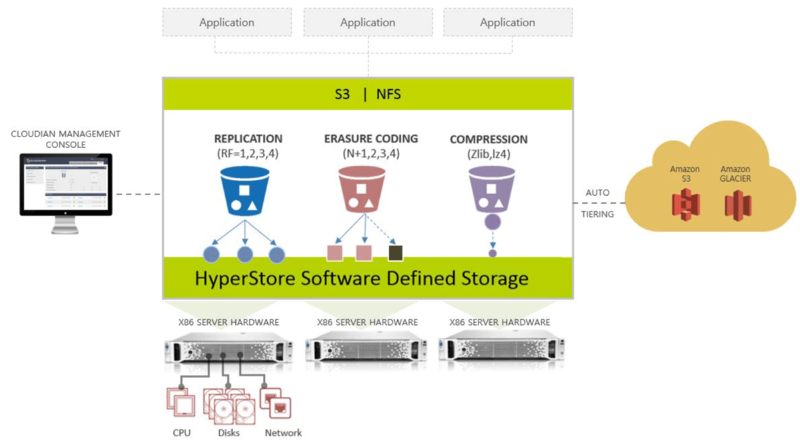 Building 10TB object storage systems free of charge. I think that’s pretty neat. I also recommend checking out Keith’s preview of Cloudian. Disclaimer: I recently received a second Transporter (Individual) unit from Connected Data in Australia to review how synchronisation worked between individual units on a LAN and WAN, amongst other things. I provided my own hard drive for the second unit. Big thanks to Philippe from Connected Data in Australia for reaching out to me in the first place and Josh from Kayell for organising the unit to be sent my way. Accessing files using the mobile app on iOS. Photos were pretty easy to move around. 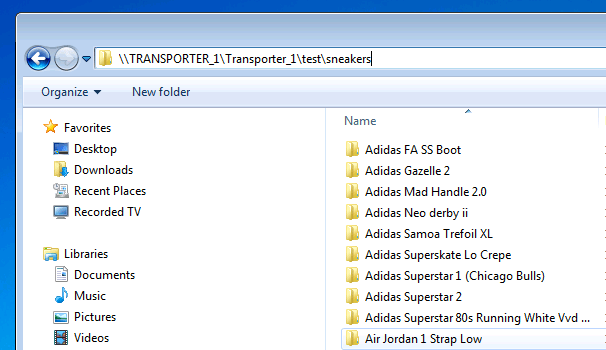 For my test data I used a 450MB folder of photos of sneakers. I copied it to the Transporter and noticed within a minute that the Transporter client on my Mac was picking up the changes. Once the folder was on the Transporter and syncing with my devices I then had a copy of the photos in a number of locations. Pretty simple stuff. Let’s be clear – copying large files to the Transporter, even over a LAN connection, can be slow. There’s a lot getting in the way of this being a speedy operation, including the fact that the Transporter itself just isn’t a blazingly fast unit. So don’t waste your money putting in a flash drive, or think that this is going to be the right tool in a video rendering workflow – because I don’t think it is. However, if you keep things simple, and count on stuff taking a little while, you can certainly do a bit with this unit. I copied about 40GB of files directly to the Transporter. It took close to an hour to complete, but I expected it would. While that was happening, a few other things happened. Firstly, the other Transporter on my LAN got the message that there was stuff on the Transporter that should be synchronised. Cool. Secondly, I could then decide to share the files on a limited basis, either via the Transporter application, or via SMB if I really wanted to. You can read the Transporter FAQ on SMB here. Note that even when you turn on SMB on the unit, you won’t see the files until you share the folder in question. Once you’ve done that, you’ll see the files via SMB. So now I have about 40GB of video files on my Transporters. What if I want to share those with someone who doesn’t have a Transporter? It’s pretty simple. I can right-click on the file I want to share, create a link, and then send links to people I want to share the files with. Note, however, that links are generated on a per-file basis. You’re better off just inviting people to access the shared folder. 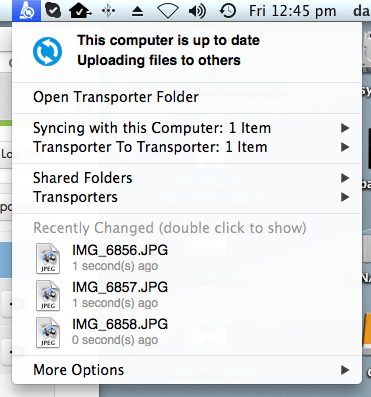 Another cool thing you can do is control which Transporters will store the files you’re sharing. I tested playback of the video over both Wifi and LAN connection. The video files were standard definition MPEG files in PAL (720 x 576) format running at about 4Mbps. They played back well with some choppiness. Still, as far as a simple way to distribute a bunch of files, this is one of the easiest ways I’ve found to do it, particularly when it comes to sharing with people outside the network. The Transporter mobile app is a snap to use, and works well on both the phone and iPad. I only tested the iOS version, so I can’t tell you how the other flavours behave. 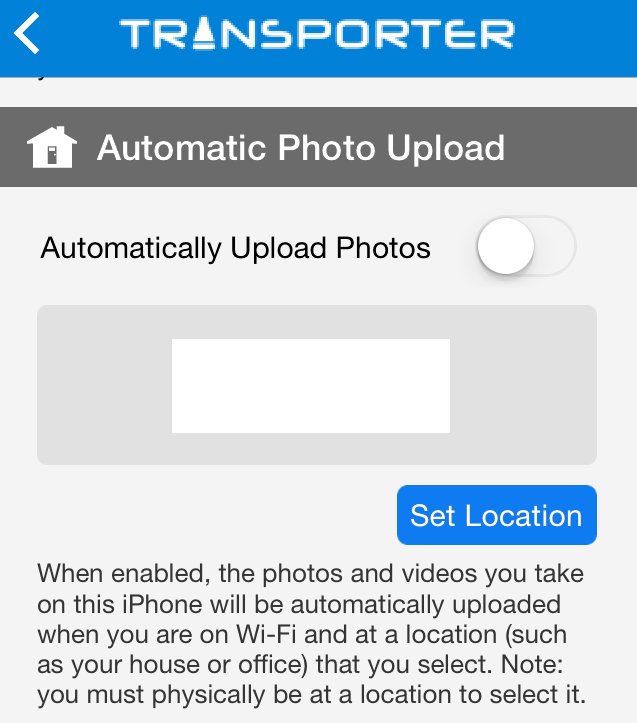 You can do cool things like setting it to automatically upload photos. I can see that this is going to be a handy feature when I’m travelling and don’t necessarily have my Crashplan-protected laptop with me. I gushed about Transporter when I first came across it at SFD7, and after testing the use of multiple units, I’m still a fan. For the most part, it does what it says on the box, and it’s a snap to setup. The key thing for me is the mobile access and ability to securely share files with the outside world in a controlled fashion. I like that there’s a nod to SMB in there, and the ability to create read-only shares as required. I also like that my daughters (both of whom use their iPads heavily for school work) can easily access files at home and at school without bloody e-mailing to me them all the time. I’m giving it two thumbs up – it does what I need it to do. Obviously your mileage might vary. Firstly, if you’d like some background on Connected Data, check out my Storage Field Day 7 post here. 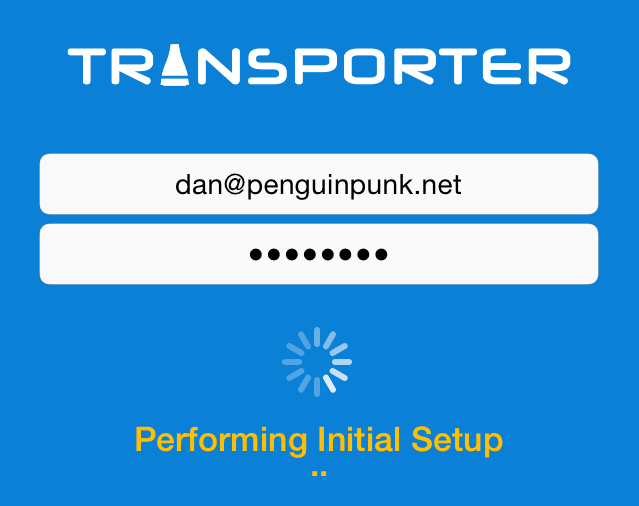 Secondly, the Transporter User Guide is the best resource to get started with the Transporter. Most operations with the Transporter are pretty simple, although the user guide provides some useful background on how and why things work the way they do. My second Transporter arrived without a hard drive, so I went and bought a 1TB 2.5″ WD Blue drive [WD10JPVX] to use with it. I chose this model because it was the same as the one in my first unit, it was reasonably priced, and I’d had some good experiences with WD drives recently. The drive you choose is up to you, although going with an SSD will not improve the performance of the unit. You can find a list of the drive requirements here. Connected Data have also developed a useful video entitled “Transporter Hard Drive Installation Video”. Once you’ve got your drive in, you’ll want to add the Transporter to your account. If you need assistance with this, the Quick Start Guide is a pretty handy place to start in my opinion. 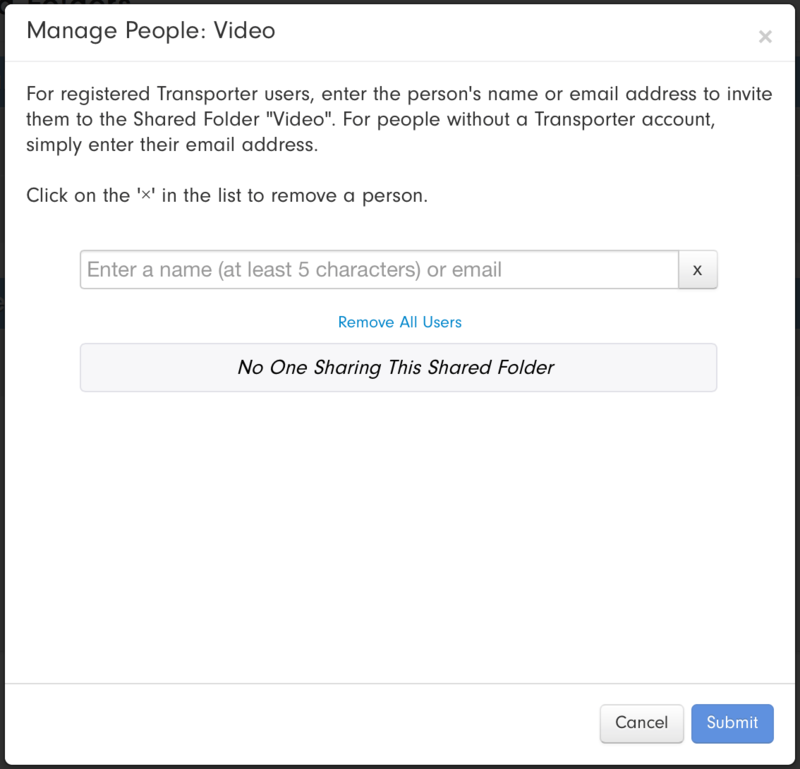 Once you’re all setup, you can get to the interesting bit – sharing data between Transporters and other users. The first thing to understand is whether you want to store files only on your Transporter, or whether you want the files to sync to the machines you’ve installed the client on as well. The differences between the Transporter folder and Library are covered fairly comprehensively here. Broadly speaking, if I had some photos I wanted to keep a copy of on my Transporter, I’d probably copy them to the Transporter folder and have them synchronise with my laptop and any other Transporters in my control. If I wanted to copy GBs of video, for example, I’d probably store that in the Transporter Library. This would keep the files only on the Transporters, not my laptop as well. Note that the mobile application only downloads files as they’re accessed, it doesn’t automatically download files. It’s not super scientific, but I was looking at scenarios that I thought would be useful to me as a consumer. Note, also, that for the large data tests, I had the Transporter units and laptop sitting on the same gigabit LAN. In the next post I’ll be running through the results of the testing. For each of the presentations I attended at SFD7, there are a few things I want to include in the post. Firstly, you can see video footage of the Springpath presentation here. You can also download my raw notes from the presentation here. Finally, here’s a link to the Springpath website that covers some of what they presented. 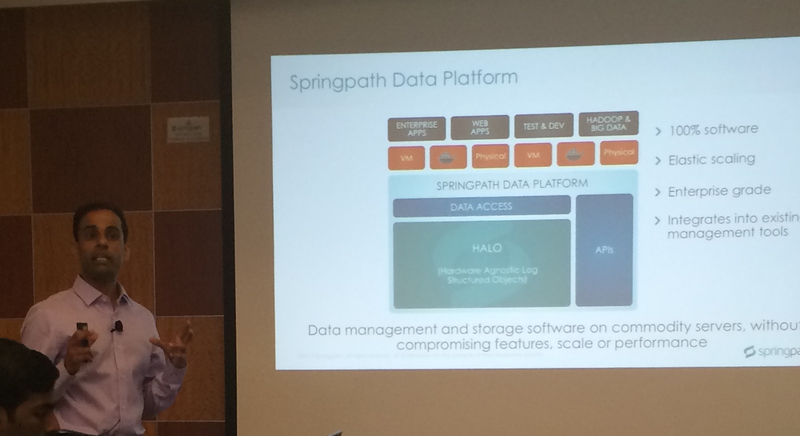 Springpath (formerly StorVisor) came out of stealth in February, just before Storage Field Day 7. Ravi Parthasarathy, VP of Product Management, presented an overview of the company. Here’s a photo of Mallik Mahalingam presenting. Mallik is one of the co-founders of Springpath, did a lot of work on I/O at VMware previously and is, in my opinion, an excellent table tennis player. Integrates into existing management tools. It is, ostensibly, data management and storage software on commodity hardware, without compromising features, scale or performance. Leverage existing management applications and frameworks. Independent scaling of compute, cache or capacity. 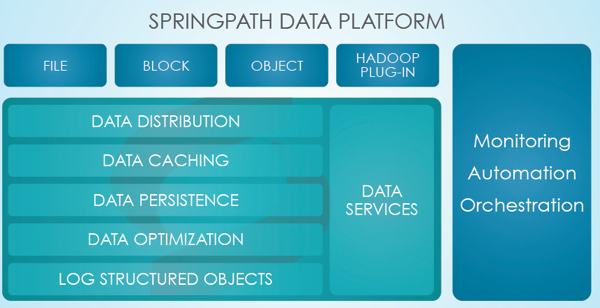 Springpath provided the following summary of their offering. I’m a fan of “software economics” when it’s done properly. I like what Springpath are doing and think they’re taking the right approach to buzzword storage offerings / software-defined storage. It remains to be seen whether they can make their way in what’s becoming a crowded hyper-converged space, but they seem to be making all the right noises. I recommend you check out Keith’s preview blog post on Springpath, as well as Cormac’s typically comprehensive write-up here. For each of the presentations I attended at SFD7, there are a few things I want to include in the post. Firstly, you can see video footage of the Primary Data presentation here. You can also download my raw notes from the presentation here. Finally, here’s a link to the Primary Data website that covers some of what they presented. Here’s a slightly wonky photo of Lance Smith providing the company overview. Global compatibility – single hardware-agnostic solution enhances coexisting legacy it and modern scale-out and hybrid cloud architectures. David Flynn then launched into an engaging whiteboard session on the Primary Data architecture. So how does Primary Data get around the problem? Separate the metadata from the data. Splits the metadata and control path off to the side. Primary Data also claim that 80% of IOPS to primary storage is to storage that doesn’t need to exist after a crash (temp, scratch, swap, etc). 1. Utilisation – This was the “doorknocker” use case that got people interested in virtualisation. 2. Manageability – this is what got people sticking with virtualisation. Because, once you’ve virtualised the data, the problem becomes setting the objectives for the storage and the needs of the data. This is where Primary Data claim that their policy-based automation really helps organisations get the most from their storage platforms, and thus, their applications and data. 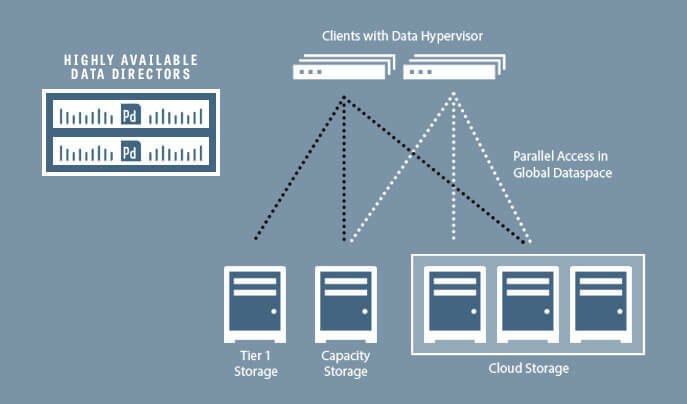 Primary Data have some great pedigree and a lot of prior experience in the storage industry. There’s a lot more to the product than I’ve covered here, and it’s worth your while revisiting the video presentation they did at SFD7. They’ve taken an interesting approach, and I’m looking forward to hearing more about how it goes for them when they start shipping GA code (which they expect to do later this year). Mark has a good write-up here, while Keith’s preview blog post is here and his excellent post-presentation discussion post can be found here. For each of the presentations I attended at SFD7, there are a few things I want to include in the post. Firstly, you can see video footage of the Kaminario presentation here. You can also download my raw notes from the presentation here. Finally, here’s a link to the Kaminario website that covers some of what they presented. Dani Golan, CEO of Kaminario, gave us a quick overview of the company. They’ve recently launched the 5th generation of their all-flash array (AFA), with the majority (80%) of customers being in the midrange (rev $100m – $5B). The entry level for the solution is 20TB, with the average capacity being between 50 and 150TB. The largest implementation runs to 1.5PB. Kaminario state that they’re balanced across all verticals and offer general purpose storage. provide the lowest overhead on the storage system to fulfil the customer’s needs. Kaminario want to offer capacity, performance and flexibility. They do this by offering scale up and scale out. Customers want somewhere in between best $/capacity and best $/performance. SSD expansion shelf (24 SSDs – 2RU). Here’s a diagram of the K2 scale up model. And here’s what it looks like when you scale out. I want to do both! Sure, here’s what scale up and out looks like. Provides resiliency for multiple simultaneous failures. Data is protected against block (nodes and storage) failure, but the system will go down to secure the data. 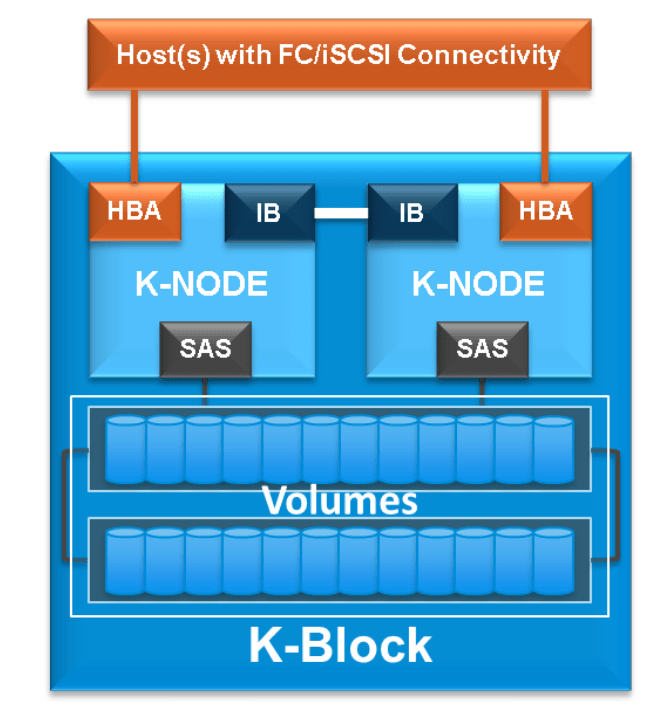 Signature per 4KB of unique data. According to Kaminario, reducing the metadata footprint is crucial. Density per node is critical. High utilisation (87.5%), no dedicated spares. Weak hash and compare – low MD and CPU footprint, fits well with flash. The architecture currently scales to 8 K-Blocks, with the sweet spot being around 2 – 4 K-Blocks. I strongly recommend you check out the Kaminario architecture white paper – it’s actually very informative. 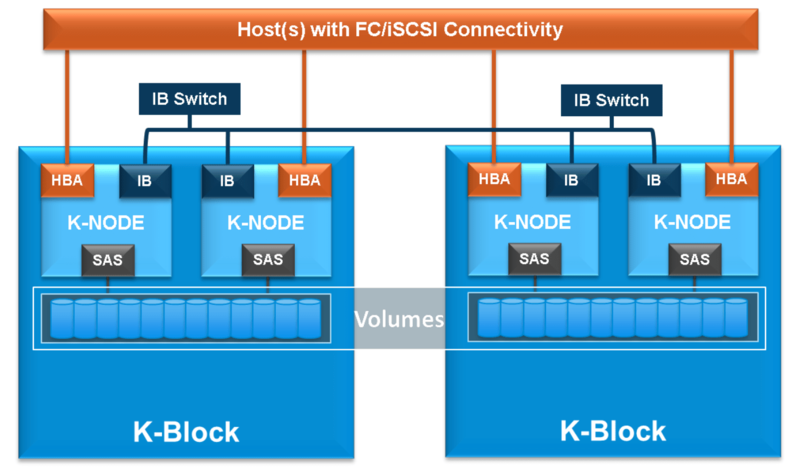 I first came across Kaminario at VMworld last year, and I liked what they had to say. Their presentation at SFD7 backs that up for me, along with the reading I’ve done and the conversations I’ve had with people from the company. I like the approach, but I think they have a bit of an uphill battle to crack what seems to be a fairly congested AFA market. With a little bit more marketing, they might yet get there. Yes, I said more marketing. While we all like to criticise the marketing of products by IT vendors, I think it’s still a fairly critical piece of the overall solution puzzle, particularly when it comes to getting in front of customers who want to spend money. But that’s just my view. In any case, Enrico did a great write-up on Kaminario – you can read it here. I also recommend checking out Keith’s preview blog of Kaminario. For each of the presentations I attended at SFD7, there are a few things I want to include in the post. 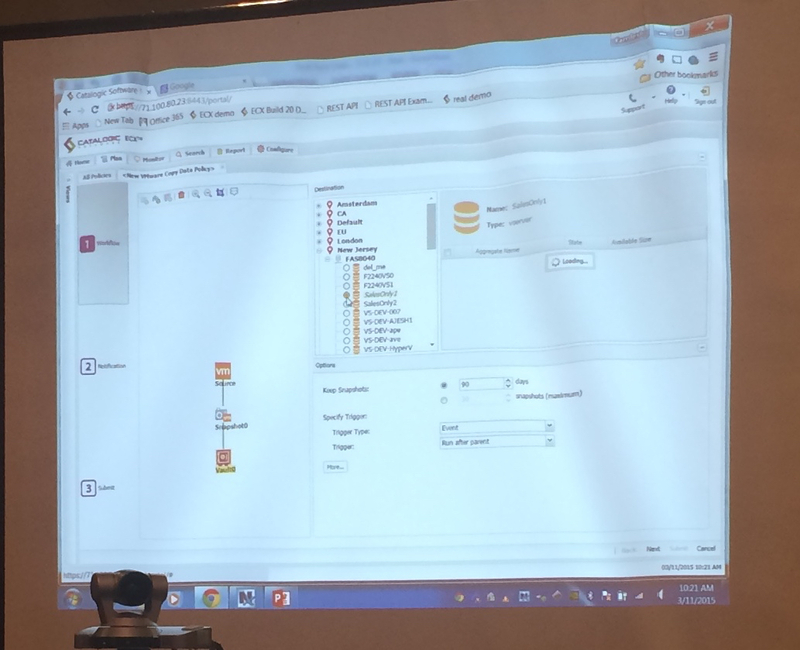 Firstly, you can see video footage of the Catalogic Software presentation here. You can also download my raw notes from the presentation here. Finally, here’s a link to the Catalogic Software website that covers some of what they presented. According to their website, “ECX is an intelligent copy data management [IDM] platform that allows you to manage, orchestrate and analyze your copy data lifecycle across your enterprise and cloud”. If you’ve ever delivered storage in an enterprise environment before, you’ll understand that copy data management (CDM) is something that can have a significant impact on your infrastructure, and it’s not always something people do well, or even understand. Ed Walls, CEO of Catalogic, talked a bit about current challenges – growth, manageability, business agility. We’re drowning in a deluge of copy data, with most of these copies sit completely idle. This observation certainly aligns with my experience in a number of environments. File analytics / Search, Report and Analyse. Copy Data Analytics with snapshots, file analytics, protection compliance. This gives you the ability to search, report and analyse. It’s not in-line, but rather uses public APIs to orchestrate. In this scenario, tape’s not dead, it’s just not used for operational recovery. You can use it for archive instead. Here’s a picture that takes those dot points, and adds visualisation. Is it a replacement for backup? No. But businesses are struggling with traditional backup and recovery methods. Combination of snapshots and tapes is appealing for some people. It “Doesn’t replace it, but reduces the dependency on backups”. In my opinion, searching the catalogue is pretty cool. They don’t crack open the VMDK to catalogue yet, but it’s been requested by a lot of people and is on their radar. There’s a lot to like about ECX in my opinion, although a number of delegates (myself included) were mildly disappointed that this is currently tied to NetApp. Catalogic, in their defence, are well aware of this as a limitation and are working really hard to broaden the storage platform support. The cataloguing capability of the product looked great in the demo I saw, and I know I have a few customers who could benefit from a different approach to CDM. Or, more accurately, it would better is they had any approach at all. Keith had some interesting thoughts on CDM as a potential precursor to data virtualisation here, as well as a preview post here – both of which are worth checking out.